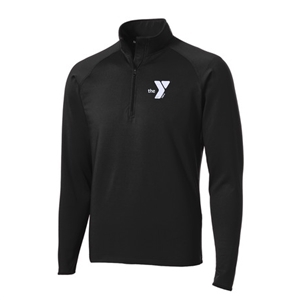 Register for all 4 races and receive a FREE Y 1/4 zip!! The course will start and at the Lima Family YMCA at 345 S Elizabeth St. Course will include Elizabeth Street and the River Walk. Registrations are $12 for members and $15 for non-members for sign ups prior to race day. Shirts are included for registrations up until May 7th! No refunds on registrations. You may call in credit card information to the front desk at the YMCA (419-223-6045), you will still need to bring a signed waiver to the race. $15 and does not include shirt. Registrations are $16 for members and $20 for non-members for sign ups prior to race day. Shirts are included for registrations until Jun 12th! No refunds on registrations. You may call in credit card information to the front desk at the YMCA (419-223-6045), you will still need to bring a signed waiver to the race. $20 and does not include shirt. Course: Ottawa Metro Park, East of Lima on S.R. 81. Swim takes place in the swimming beach at the park. The swim is a loop. 15 M bike is a rolling, fast course on country roads in a large rectangle. Runs are on the river walk. Transition area is a paved parking lot within the park. Restrooms are nearby. Course: Start and finish at Ottawa Metro Park. The course will be run entirely on “lighted” pavement in the park. Fee: Member $16 & Non-Member $20. Shirts included. Family rate of $35 members and $45 non-members includes shirts for registrations until Oct 1st. The following information pertains to all races in the series. Prizes: Awards to the top three male and female overall finishers and top three in each age group. There will be no duplication of awards. Age Groups: 5-9, 10-14, 15-19, 20-24, 25-29, 30-34, 35-39, 40-44, 45-49, etc. up to the oldest runner.